Providing you the best range of barrel emptying pump, barrel unloading pump, pneumatic barrel pump, barrel pump, barrel emptying pump systems and barrel emptying systems with effective & timely delivery. NEMO® Barrel Emptying Pump enables an automatic suction right to the bottom of the barrel (or) the container, to achieve almost residue-free emptying in the Chemical, Pharmaceutical and Food-based industries. The heart of the Barrel Emptying System is a volumetrically conveying NEMO® Progressing Cavity Pump. When the NEMO® Pump is started, a vacuum is created under the follower plate. The vacuum simultaneously puts slight pressure on the substance that guarantees constant suction in the pump. 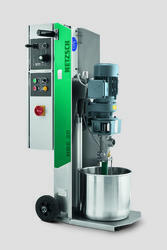 NETZSCH Barrel Unloading Pump enables an automatic suction right to the bottom of the barrel (or) the container, to achieve almost residue-free emptying in the Chemical, Pharmaceutical and Food-based industries. 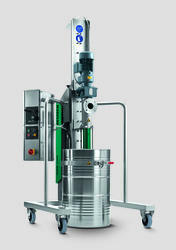 The heart of the Barrel Emptying System is a volumetrically conveying NEMO® Progressive Cavity Pump. 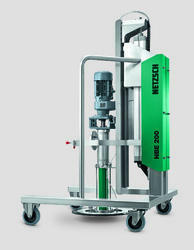 When the NEMO® Pump is started, a vacuum is created under the follower plate. 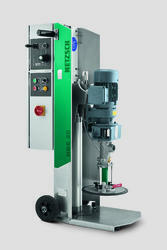 The vacuum simultaneously puts slight pressure on the substance that guarantees constant suction in the pump. 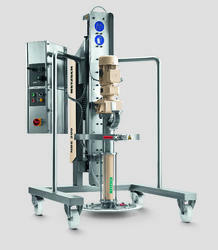 NEMO®Pneumatic Barrel Pump enables an automatic suction right to the bottom of the barrel (or) the container, to achieve almost residue-free emptying in the Chemical, Pharmaceutical and Food-based industries. 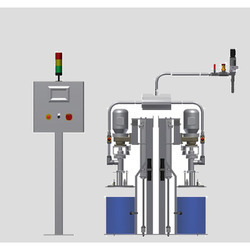 NETZSCH Motorized Screw Barrel Pump enables an automatic suction right to the bottom of the barrel (or) the container, to achieve almost residue-free emptying in the Chemical, Pharmaceutical and Food-based industries.